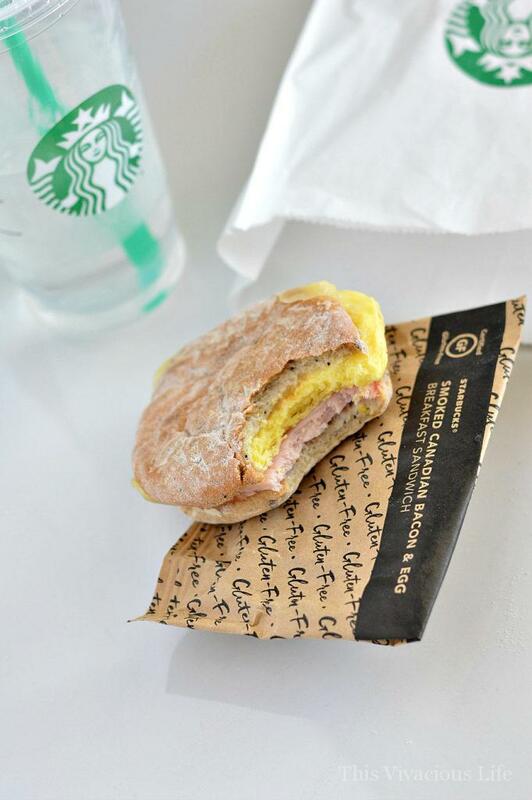 The NEW Starbucks gluten-free sandwich is tasty and a well-rounded group of ingredients. 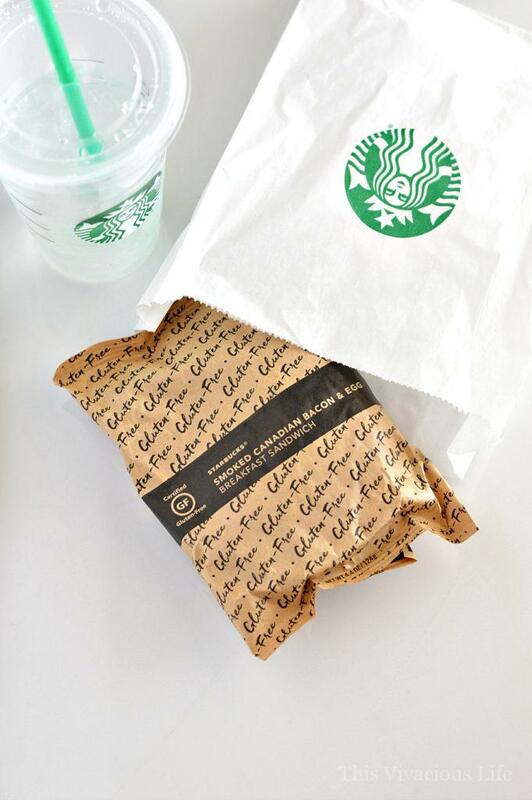 Starbucks gluten-free sandwich is absolutely delicious plus it’s reasonably priced and available nationwide. 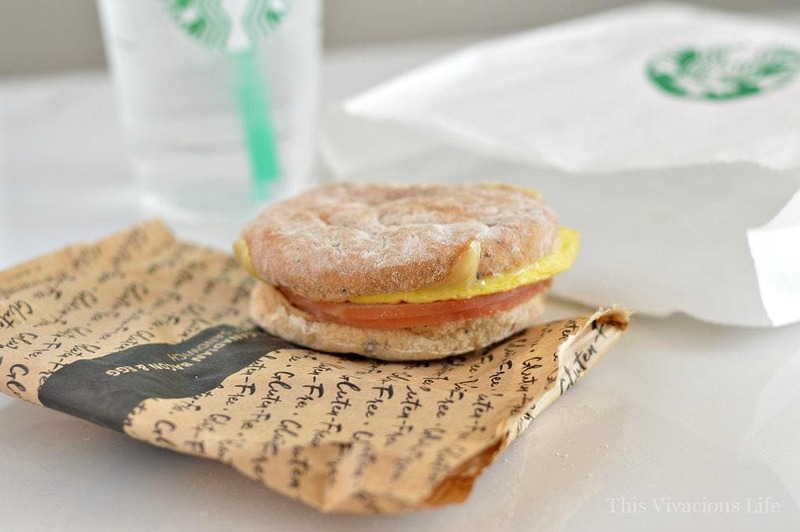 The new Starbucks gluten-free sandwich is so delicious! It is also very balanced with lots of clean protein, just the right amount of good carbs and a bit of fat and some fiber. I am a sauce girl and this sandwich doesn’t even need any thanks to the warm, melted cheese. I love plugging this sandwich into the app on my phone that helps me track nutrition and calories. It is the perfect balance of all the nutrients my body needs. The best part is that I feel like I am getting a special treat when I eat it. 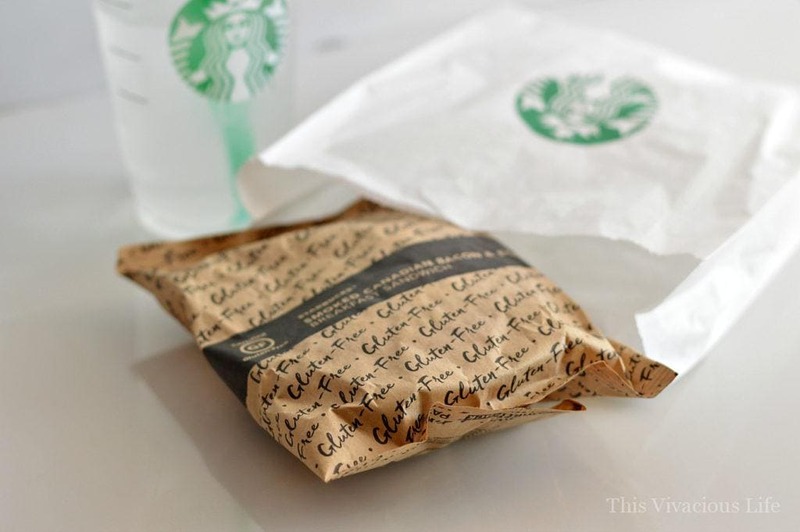 When you order your Starbucks gluten-free sandwich, make sure to remind them to not take it out of the sealed bag they receive it in. The bag ensures that it is safe for those with celiac disease. The first time I went through my local Starbucks, they had removed it. It was placed it in a regular white pastry bag. Though there was a sticker attached saying it was gluten-free, I knew that by removing it from it’s sealed bag, I put myself at danger for cross-contamination. They were great when I asked them to please make it again without removing the sandwich. I also asked them to make sure they only serve the gluten-free sandwiches this way to ensure the safety for all. 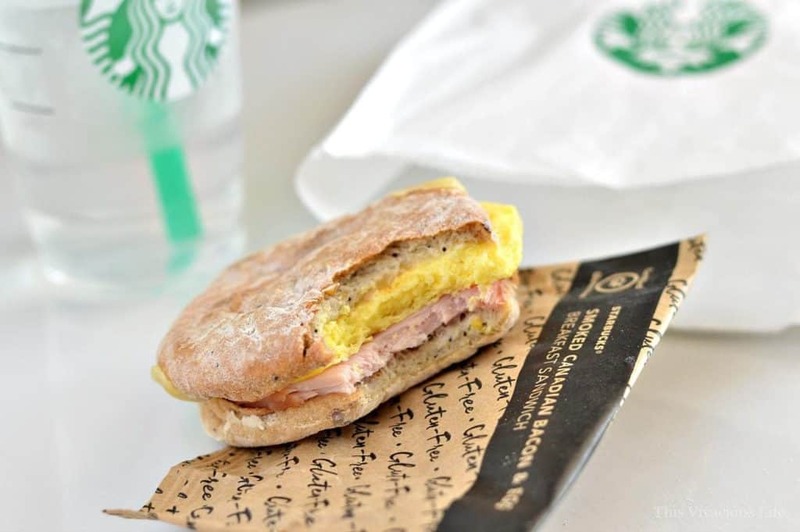 The Starbucks gluten-free sandwich is loaded with delicious cherrywood smoked Canadian bacon, an egg patty and reduced-fat white cheddar. The gluten-free ciabatta roll is soft and flavorful. It makes the perfect carrier for the other ingredients. 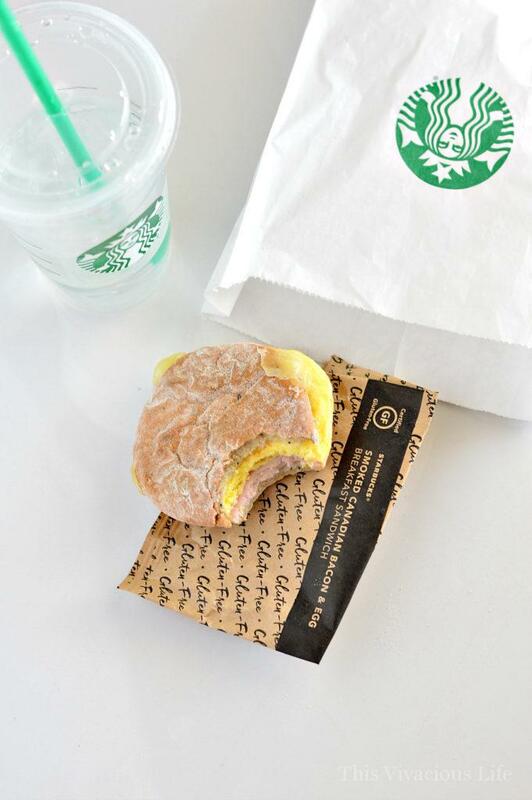 I hope you all enjoy the new Starbucks gluten-free sandwich as much as I did. Full-disclosure, I bought all of these sandwiches on my own. This is not a sponsored post in anyway. 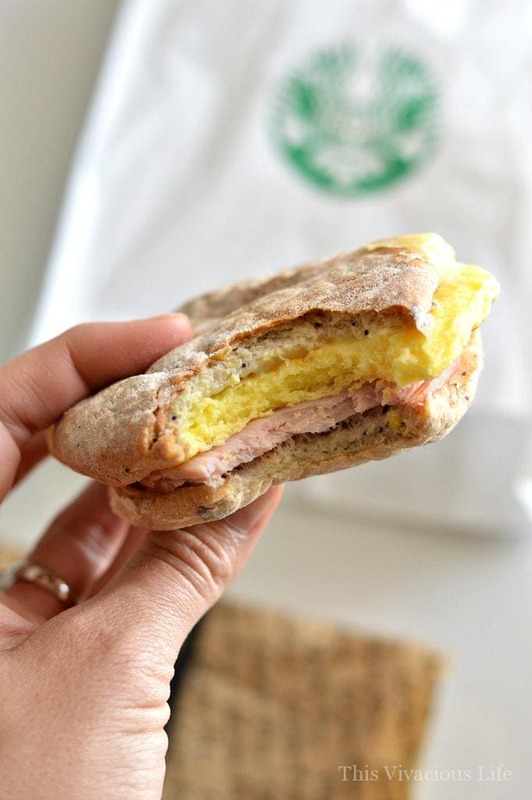 In fact, I may just be planning my next Starbucks visit to get another gluten-free breakfast sandwich. If you need other quick and easy breakfast ideas, be sure to check out our easy sweet breakfast burritos.